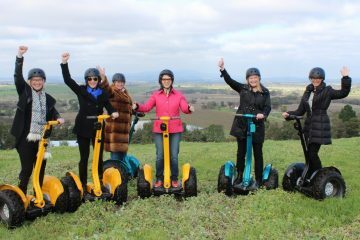 60 minute Segway Adventure Tours in six great locations! 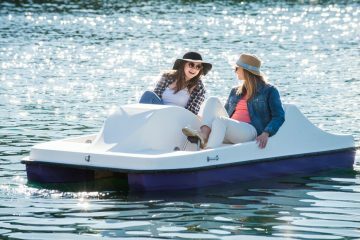 Cruise by beaches, through Vineyards or around the City our tours have it all! 60 minutes of adventure and fun in one amazing experience! Experience all sorts of awesome terrain! Awesome, Amazing, I Want One! is what everyone says! 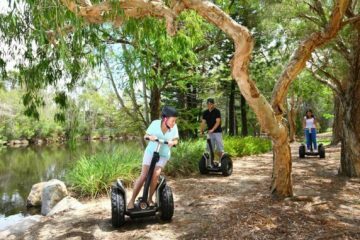 What makes Segway Adventure Tours (60) so popular? 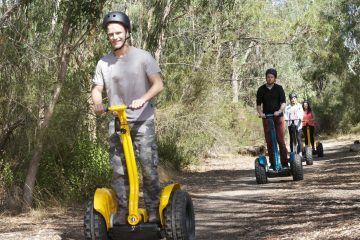 On our 60 minute Segway Adventure Tours, you’ll master your craft and become an expert Segway rider before setting off an amazing adventure. 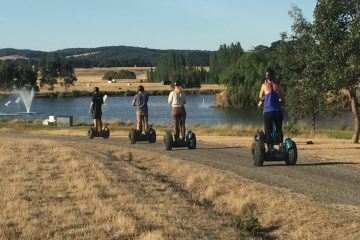 So if you’re looking for fun, thrills and adventure then riding a Segway X2 All terrain is guaranteed to to achieve this and more! When you step aboard a Segway you will quickly find that it will gently move you and keep you balanced almost like an extension of you as it intuitively moves in response to where you want to go. It’s natural, safe and instinctive. Just step on, shift your weight forward, backward, left or right and lean steer technology immediately sends you gliding in the precise direction you want to go, at exactly the speed you want to move. Straighten up and you gently stop. 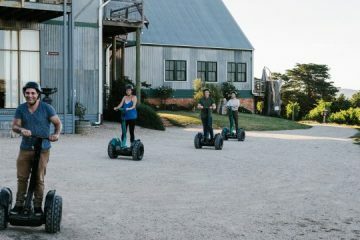 Riding a Segway is an amazing experience and we have six great locations where you can put the Segway through it’s paces in a variety of terrain. 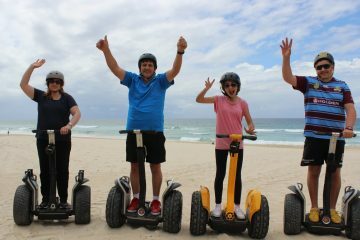 We have a Main Beach Tour in Surfers Paradise where you’ll glide along the Esplandade seeing some of the most amazing coastline along the East Coast of Australia or you can go bush on a Safari Adventure on the Gold Coast. 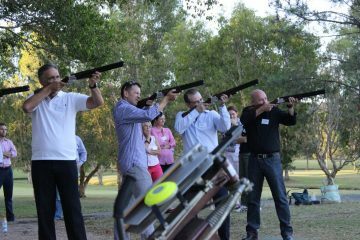 Maybe you would prefer to zoom through the vineyards on one of our Resort Vineyard adventures in the Yarra Valley or Macedon Ranges or why not experience the fun and history of the old Armory at Sydney Olympic Park. 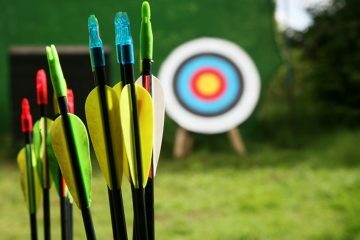 Simply click on the Activity locations tab to find a 60 Minute Adventure tour that is in a location near you. So don’t delay, come and experience the thrills of Riding a Segway today! If you could arrive 5-10 minutes early for your scheduled tour to fill out the necessary paperwork. Each rider will need to sign a liability waiver form and if the rider is under 18, a parent or guardian will be required to sign on their behalf. All tours include a period of time for training and learning how to master riding these amazing machines. On average we allow about 10 minutes of hands-on rider training as part of your tour. The tour will not set off until you are 'rider ready' and the facilitator feels confident you can safely ride through the various terrain you will encounter on the tour. Riding a Segway is pretty easy and you will generally master all the various techniques for riding in various terrains in about 10 or so minutes. The tours are generally classified as medium. It is designed so that you first learn the technique of riding one of these amazing machines and then once the facilitator deems you 'ride ready' you will spend the remainder of your time cruising and zooming around completing the specific tour you have chosen. Q: WHO IS RESPONSIBLE FOR PROVIDING MY YOUR? 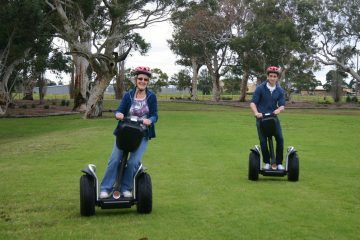 Segway Adventure Tours (60): Now playing at a venue near you!